Depending on your email’s purpose, the layout must harmonize with the content to provide the best vessel to communicate your message. This encourages email engagement and leads to more interaction (higher click-through rates on your calls-to-action) from your recipient. Segmenting your email marketing campaigns doesn’t need to be a daunting task. We’ve simplified the process of dividing your email list into groups of likeminded individuals and sending personalized messaging into 4 simple rules. These rules will allow you to send targeted and personalized messages to groups of people who share similar characteristics. Although segmenting your list takes more time and effort, it gets your email to the people who want it the most, increasing the probability of recipients opening, reading and, ultimately, doing business with you. Segmenting at its most basic—using data you already have—will result in significantly higher conversion rates than one-off email blasts. A properly implemented email marketing campaign works much like a well-oiled machine. It’s effective, only requires a moderate amount of maintenance and supervision and produces results with little actual effort from its operators beyond its initial setup. And what’s more, it’s not this long, drawn out, manual experience each and every time you want to send out an individual mailing. You just set things up and it just hits the ground running, pretty much on its own. What? That’s not been your experience? You’re doing what? Oh! Perhaps you haven’t been getting the most out of your email marketing machine. Perhaps you haven’t been apprised of the benefits of automation. With automated campaign management tools, you can improve the timeliness of your email communications with customers without a thought, coordinate multiple engagement efforts simultaneously and, coupled with personalization, segmentation and relevant content, reach out more effectively to your audience with ease as your platform simply does it for you. Rather than go through the tedious, time-consuming and mentally taxing tasks involved in doing every single step in the mailing process yourself, use the tools available to you as an email marketer. You can then concentrate on what’s most important to your communications instead: your message. 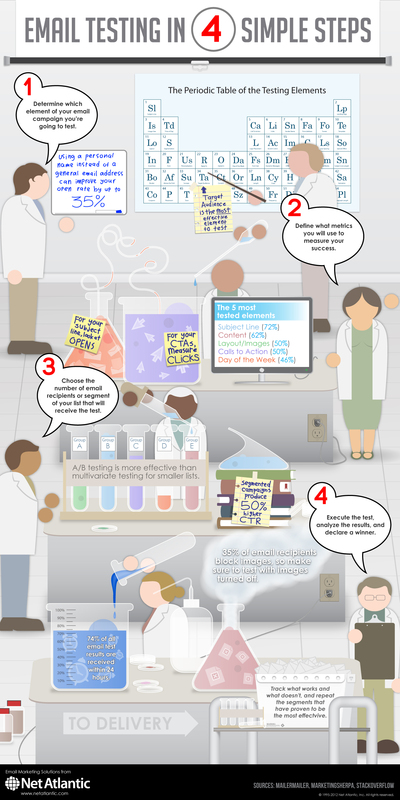 Check out our infographic on the 4 Critical Phases of Email Marketing Automation to learn more!